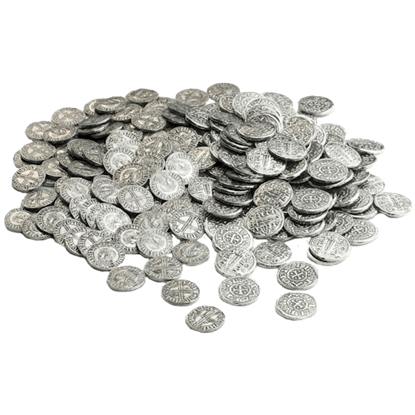 The Vikings did indeed use coins since not everything could be traded for or gotten from raiding other villages and towns. 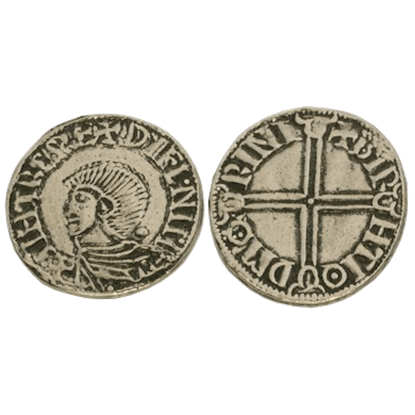 We offer a number of authentic Viking coin reproductions of historical currency used primarily by the Vikings, Normans, and Anglo-Saxons. 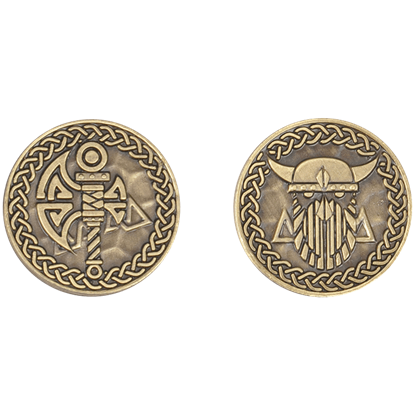 Each of these Norse coins is made from antiqued or gold-plated pewter showing fantastic detail based on actual historical coins like the Viking penny and cnut. 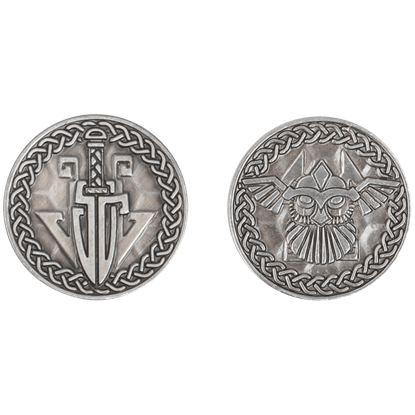 These Viking coins are somewhat rough in appearance in order to provide an aged look. 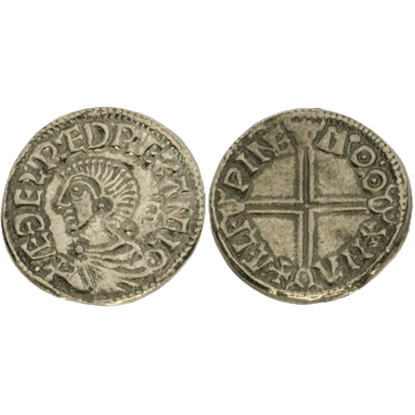 These Nordic coins make fantastic acquisitions, as they can be used as gaming coins, collectible currency, Renaissance fair money, or educational tools. 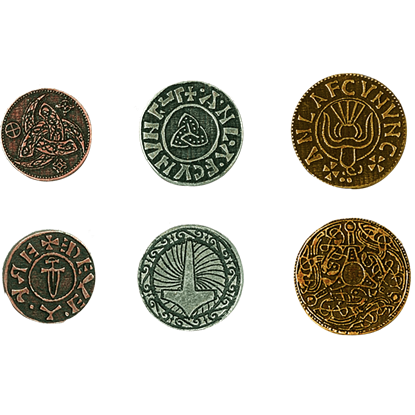 A number of our coin packs share historical information about the coin and the period in which it was used. 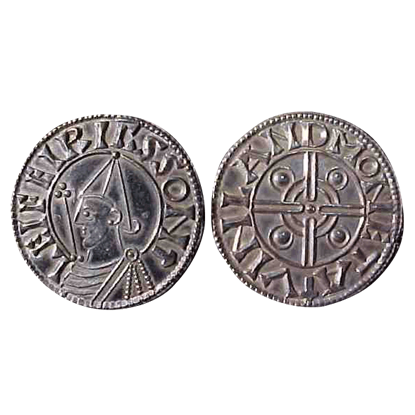 This reproduction penny coin with Aethelred II (The Unready) on the obverse and a long cross on the reverse. 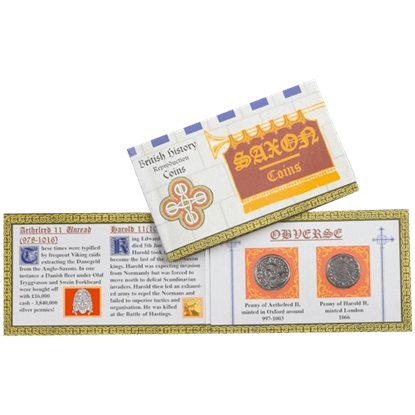 These Saxon and Norman Coins are great for kids of all ages, collectors, gamers, and living history groups. 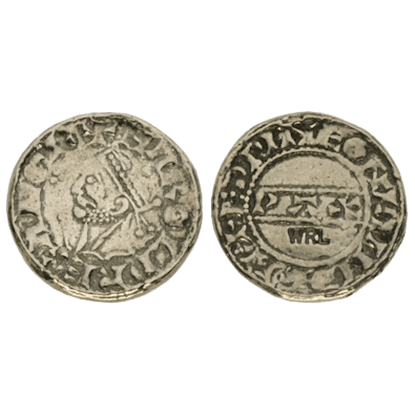 This reproduction Harold II penny is made from lead-free pewter with an antiqued finish for a historic look. 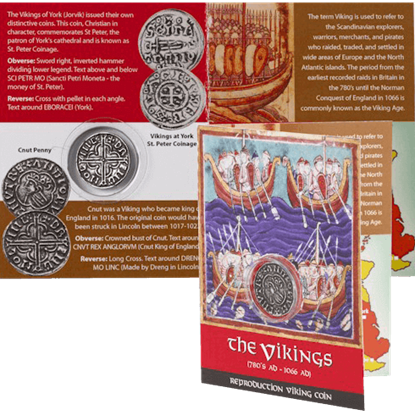 It is supplied in a clear blister mounted on a colorful information card with historical information on the reverse. 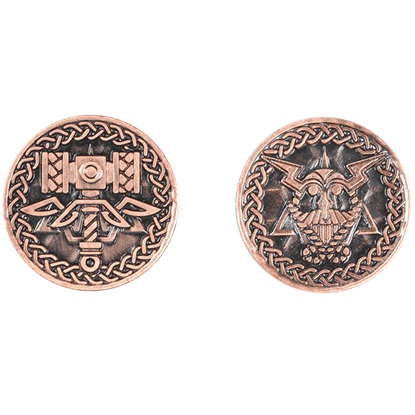 This is reproduction Penny coin with the crowned bust of Harold II on the obverse and PAX across coin on the reverse. 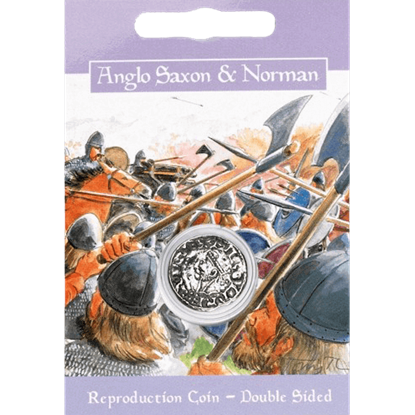 These Saxon and Norman Coins are great for kids of all ages, collectors, gamers, and living history groups.